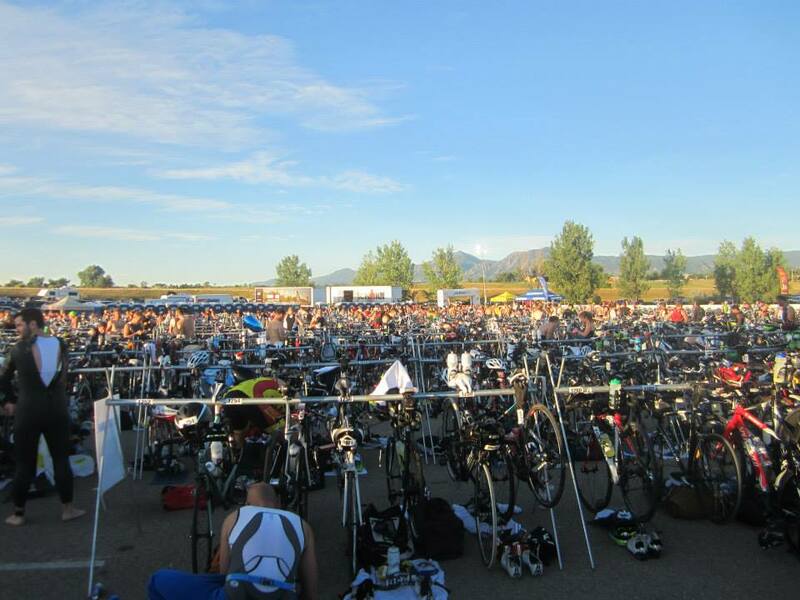 The long-awaited Boulder Ironman 70.3! We had been waiting for this day for a long time. Mike and his buddies signed up for this in January (because it sells out SUPER FAST) and were training in the winter and summer to get ready for this competition. They were really into triathlons and wanted to have something big to work towards. The biggest thing that Mike looked forward to was riding in Colorado and the competition that was going to be there. He was really excited to learn about the pros and to see and hear about them in person. 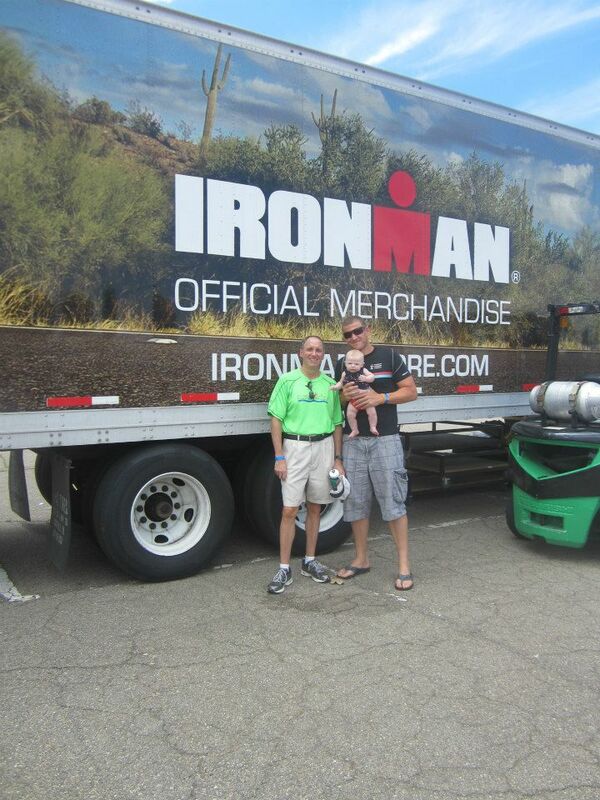 The Ironman 70.3 consists of a 1.2 mile swim, a 56 mile bike, and 13.1 mile run. When it came to the swim, Mike trained at the local swimming pool as well as in the ocean in San Diego to make sure he was prepared. He swam 4 times a week and always swam a mile and a quarter. 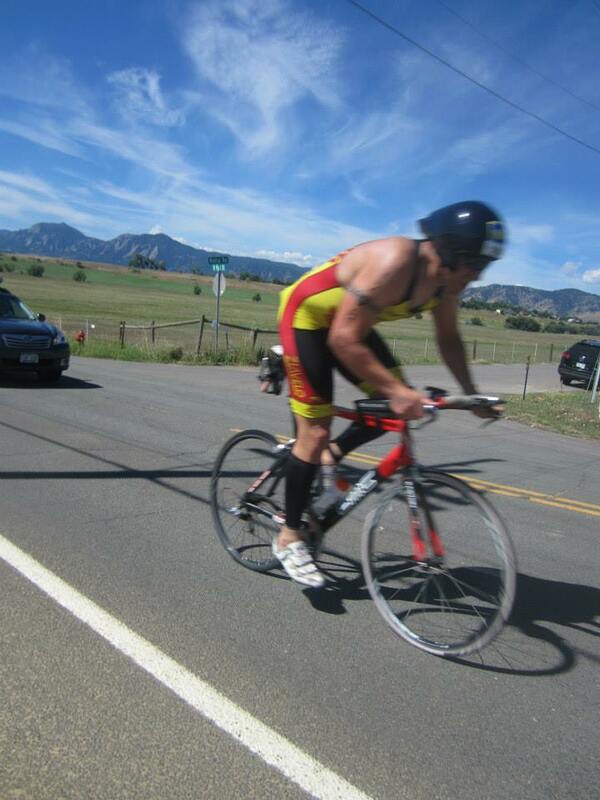 Mike felt pretty good about the bike portion of the race before hand because he had been training on his own. His training consisted of riding in high altitude locations (like Cloudcroft) and long distance riding. He really enjoyed the course. It was fast and beautiful. 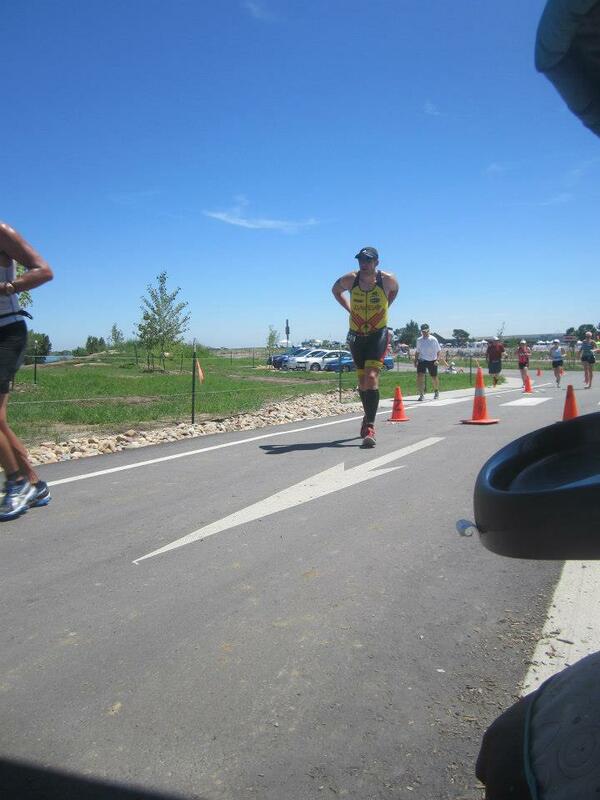 To prepare for the run, Mike ran his own half marathon courses as much as possible. He made sure to run at least 3 times a week. Mike didn’t feel too good on the running portion, but we found out later he was on the verge of a really bad cold/flu before the race began. When Mike hit the finish line, he was cramping pretty bad. He felt like he couldn’t stay hydrated. It was super hot out and very humid that day for Colorado. This finish line pic was so awesome to see. He finished! We took Olivia up to this race because Mike wanted for her to be there at the finish line. She did an awesome job riding up there, as well as waiting around for the results. 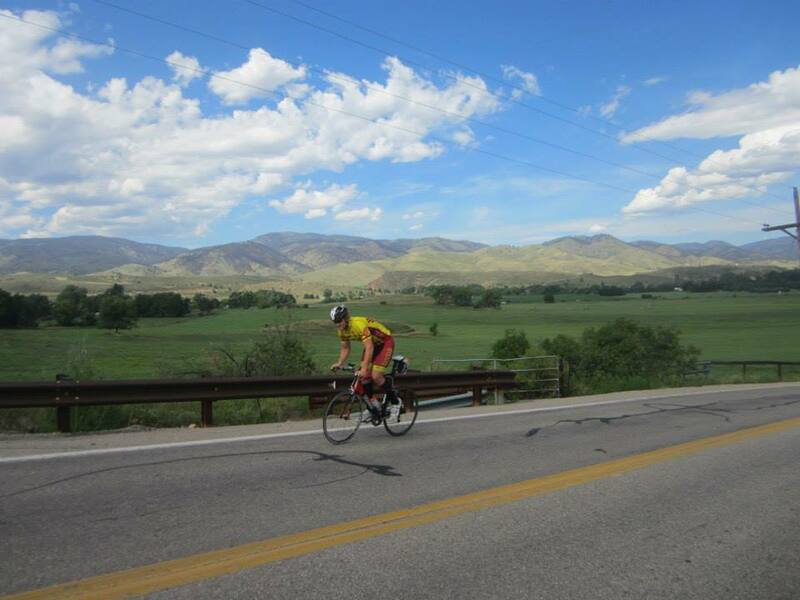 Mike was able to ride around Fort Collins, Colorado the few days before. He tried to be really careful not to go too crazy, even though it was tempting to ride like crazy in such a beautiful place! The day we showed up, we went down to get Mike’s race packet. 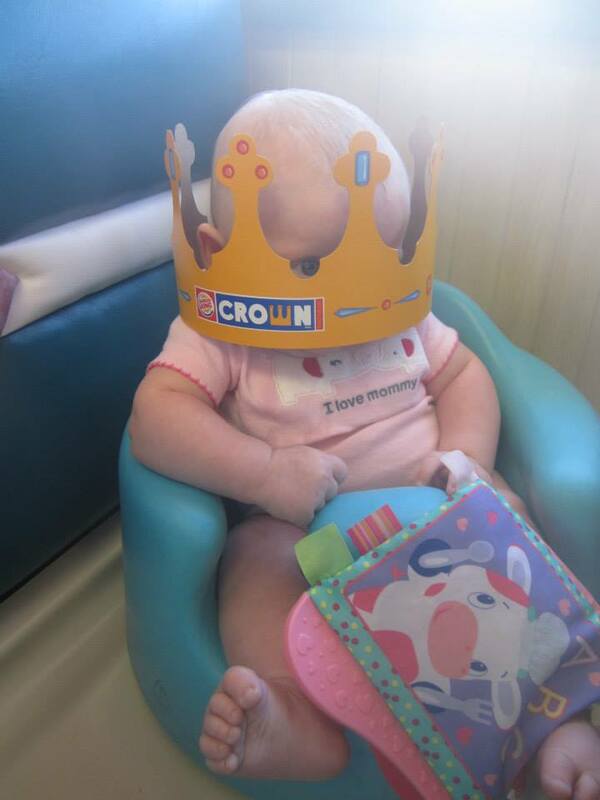 They had so much merchandise that we wanted to get. Mike bought a visor to use when running and we were able to meet up with his friend Norm who was also doing the race. He was able to give some great advice since he has done it before. This is where Mike did his transition. He had a great spot to get in and out! Considering transitioning has always been hard for him, he rocked it! Here’s Olivia cheering him on before he went out for the swim! 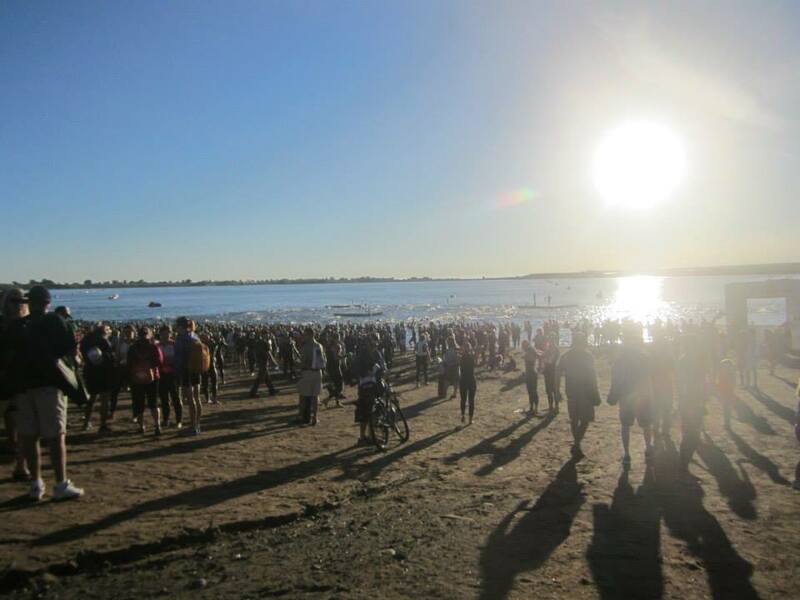 The race started at the base of the Boulder Reservoir. Mike lined up with the swimmers that were marked for 37 to 38 minutes. And Mike did just that. He swam the 1.2 miles in 37 minutes! After Mike came in from the swim, he had to change immediately into his bike gear. He felt like transitions went pretty well. 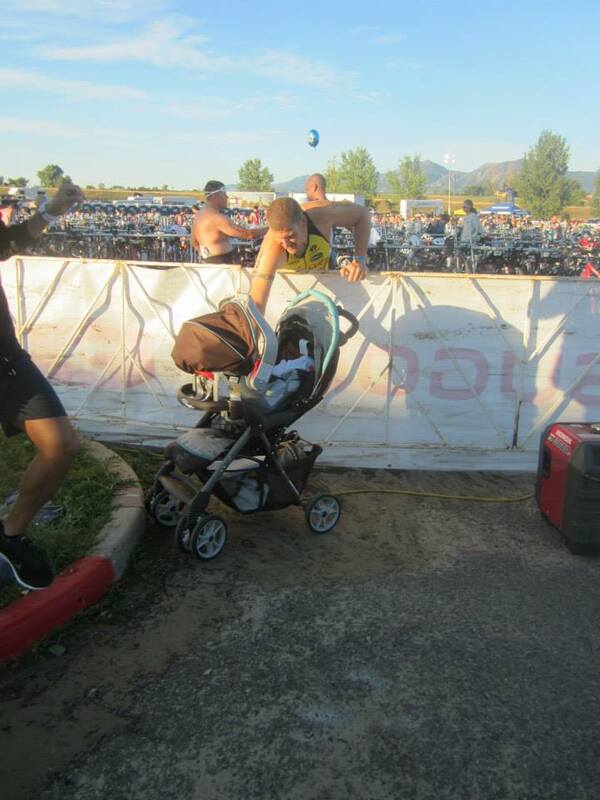 His swim to bike was the best out of the two. 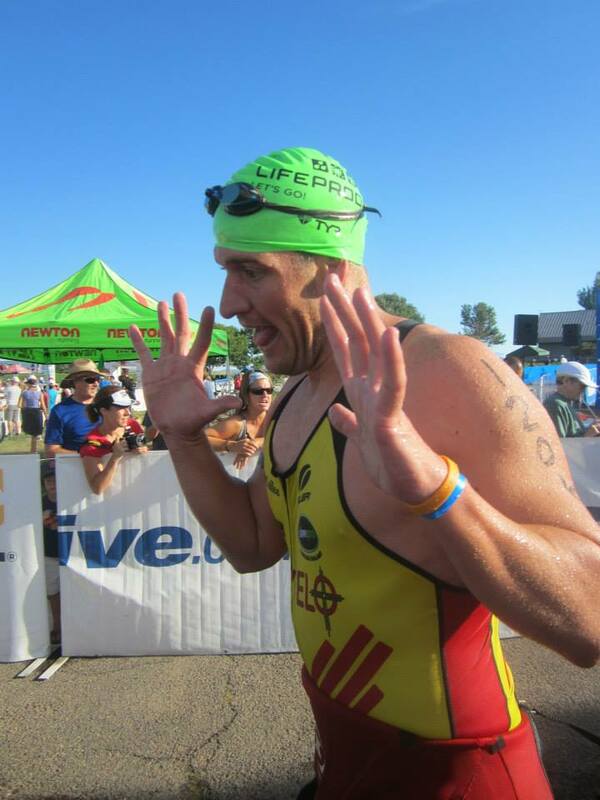 I am so proud of him and look forward to watching him compete in more triathlons!!! 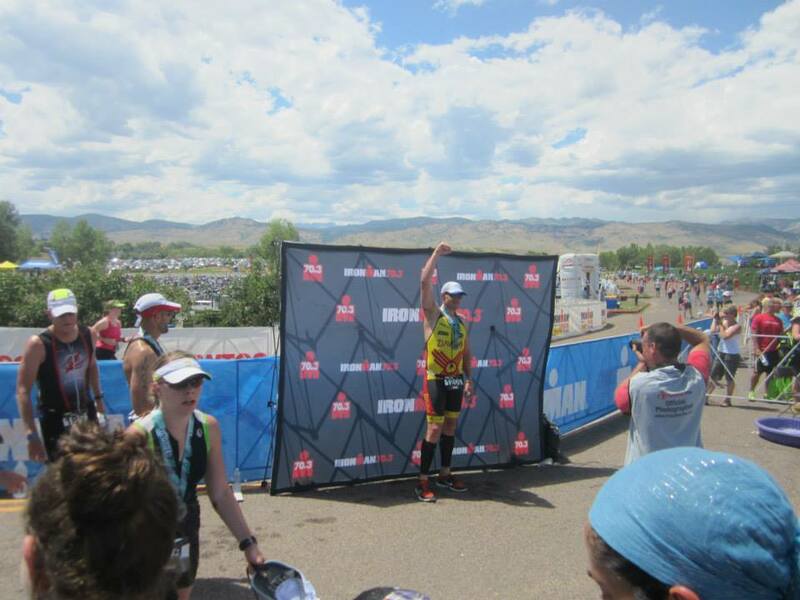 This entry was posted in 2013 Races, Fitness, Running, Travel, Triathlons by thefasteryoupedal. Bookmark the permalink.